A Blog About Dance, Music, Art and More. as well as the tiny Dandelion Seed Necklace. An adorable Gift for a Mother and Daughter or Best Friends. Sold as a set of 2 necklaces. 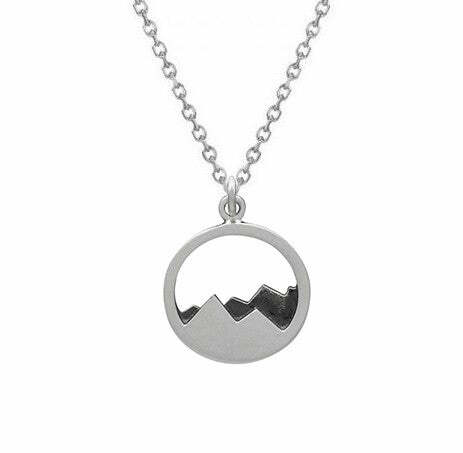 Chain Length: 16, 18 or 20"
mountain range charm on a delicate sterling silver chain. This handcrafted necklace comes with a single stainless steel skydiving closing pin that is part of skydiving rig and a symbol of Freedom and Security, and a total of 4 smooth, untreated Lapis Lazuli gemstones: a stone of Wisdom, Spiritual Awareness and Truth - also known as the "Sky Stone". The pin is attached to a sterling silver chain that is approximately 19 1/2-inch long and has been oxidized, then polished for a unified look and feel. 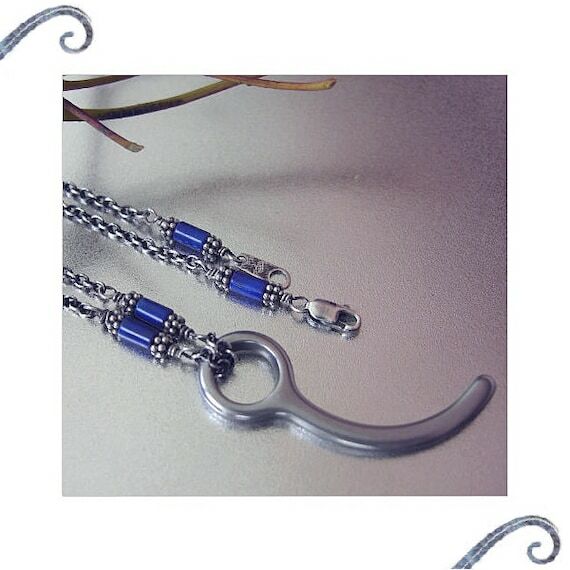 The chain also features Lapis Lazuli beads on both ends, a secure sterling silver lobster clasp closure and it is .925 hallmarked.